The first new work I’ve exhibited in a while is now on show at the latest Markmakers exhibition at The Brindley in Runcorn. 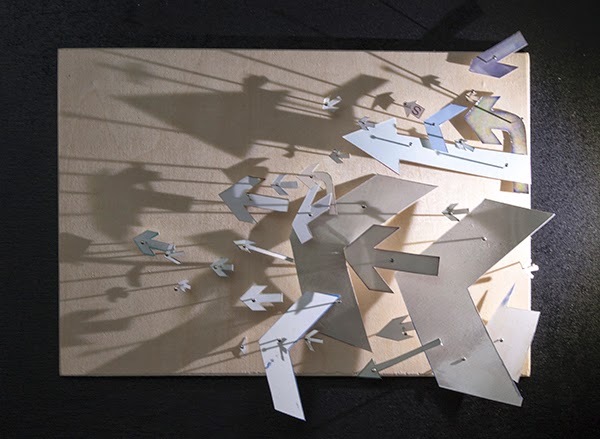 A maquette for a maze of displacement is a video installation work that forms a study for a proposed mass participation public intervention. Landmarks & Boundaries is the latest project from Markmakers; Halton’s contemporary art collective, and is inspired by the artists’ geographical location of living near to the coastlines of North West England and Wales, and their individual experiences, knowledge of tides, islands, pathways, histories, folklore and rites of passage. Expect the unexpected and join the artists for their gallery talk and reception on Saturday 17 September in the Brindley Gallery at 1pm, all welcome, refreshments will be served. Seven artists, six residencies, one group show. Join me on the opening of Residual Projects to see the beginning of my mini residency as part of this new exhibition or come and visit on Saturday 6th & Sunday 7th December 12-3pm. 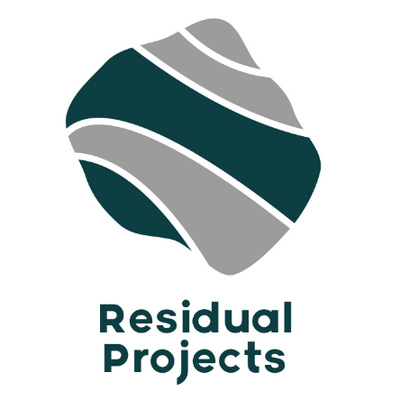 Residual Projects is a series of miniature residencies with seven nationwide artists using the gallery to explore their own artistic interests whilst the gallery is open to the public. The work they create during their residency will be left for the next artist to negotiate. 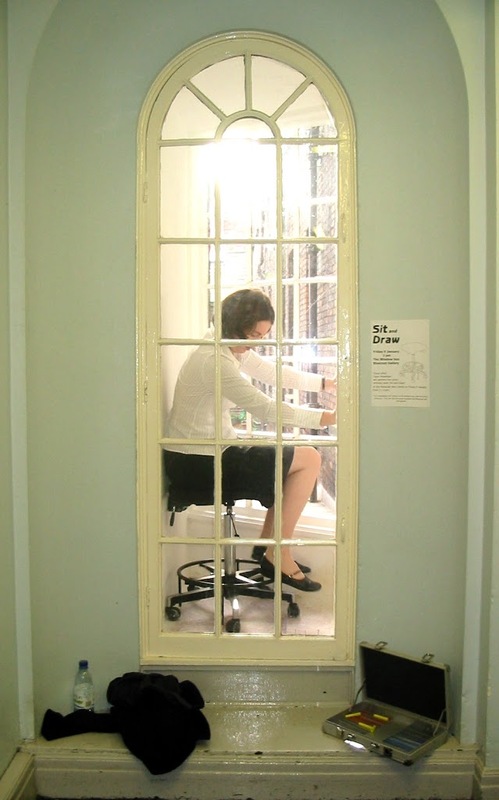 The aim is to create a dynamic group exhibition which explores how artists can work collaboratively. All participating artists will be creating new work which responds directly to the physical architectural or social history of South Square Gallery and the history of Thornton. Throughout the evening of the 5th December I will create an instinctive performance piece inspired by South Square’s domestic history as a collection of Stonemason cottages. 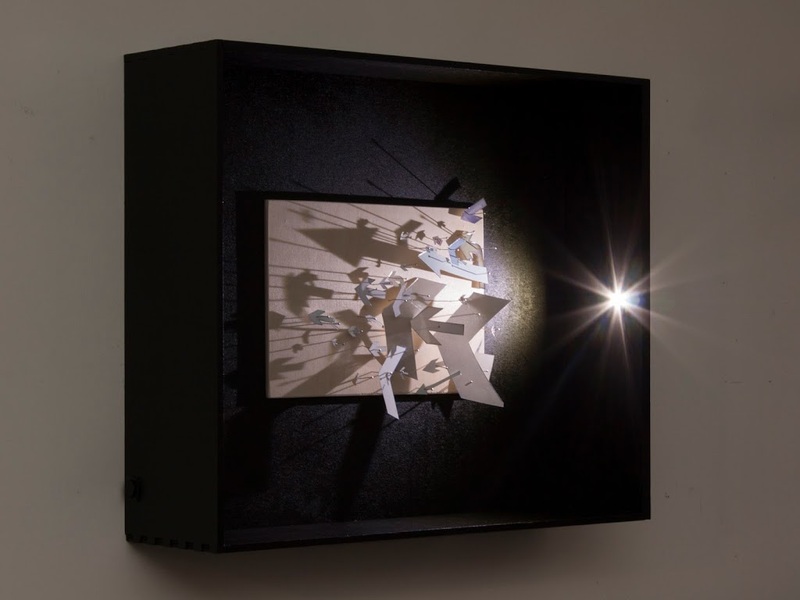 My intervention will involve the audience on the night; dividing lines will intersect the galleries floors and walls, marking out different possibilities of living arrangements within the confined space. This new work is a continuation of the socio-political piece Residential Mosaics shown at the Brindley earlier this year and ‘a remarkable architecture of stairs‘ which looked at the proliferation of high rise flats of Shanghai. During October I’ve been working with St Augustine of Canterbury Catholic High School on some varied drawing activities. 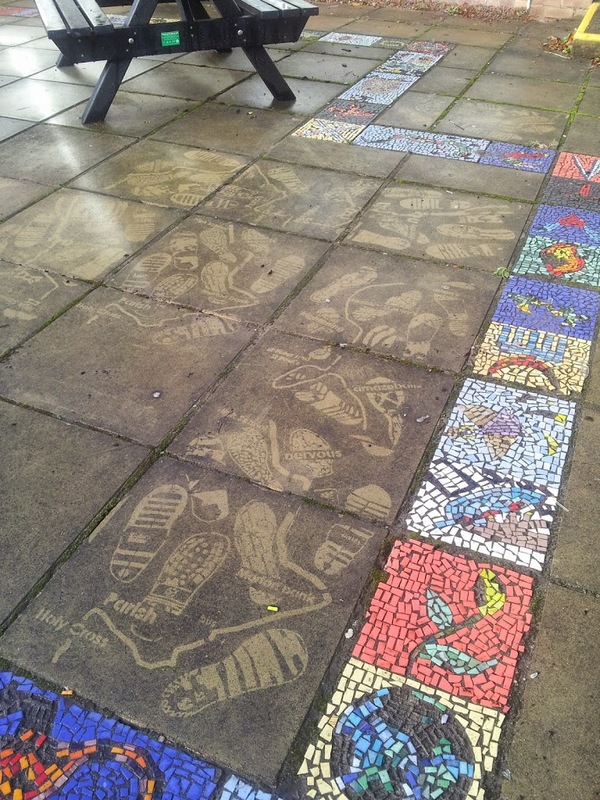 The bulk of the time was spent with Year 7 on a project using footprints, although I also got to spend some time with pupils from Years 9, 10 & 11 on a range of drawing activities too. Over the course of a day I worked with each Year 7 pupil using frottage to capture an image of their footprint, before they layered tracing paper over the top to create a black and white graphic design. These drawings have then been transformed into digital files suitable for cutting with the school’s laser cutter – a piece of kit that more and more high school technology departments have in their arsenal. 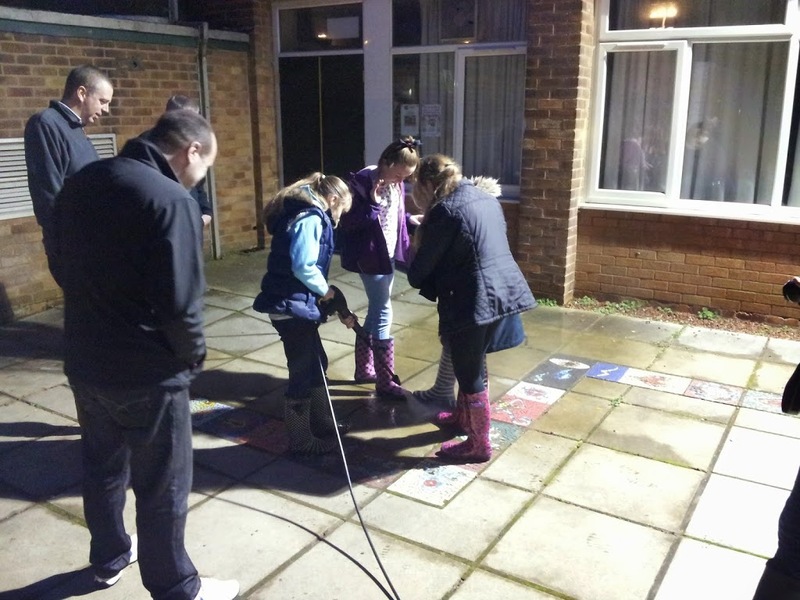 Their very helpful technology teacher then cut the files that I laid out into mylar stencils and rubber stamps for an after school session where Year 7 pupils returned with their parents for an evening of jet washing and animation. 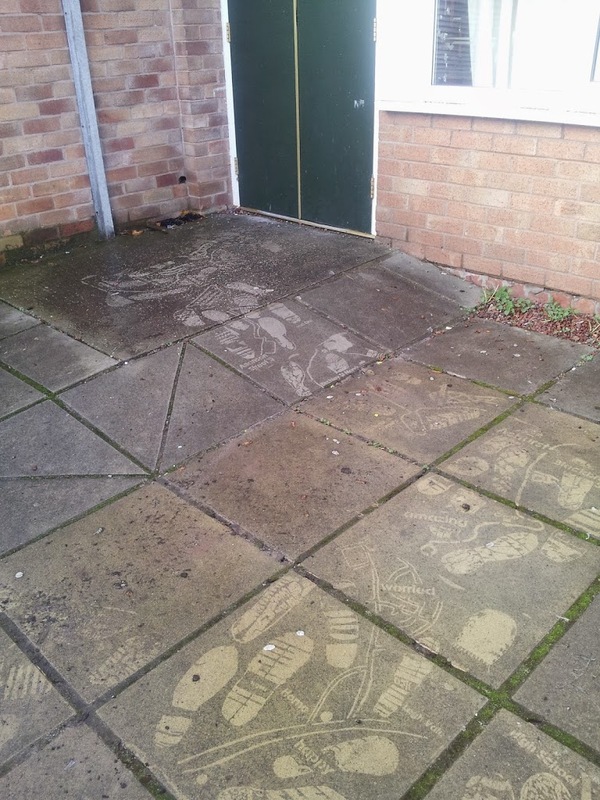 The stencil designs are inspired by the transitional journey that Year 7 pupils have taken from primary to high school and feature footprints, maps, school names and words to describe the emotions of moving to this new community.